What did this website look like at the very beginning? 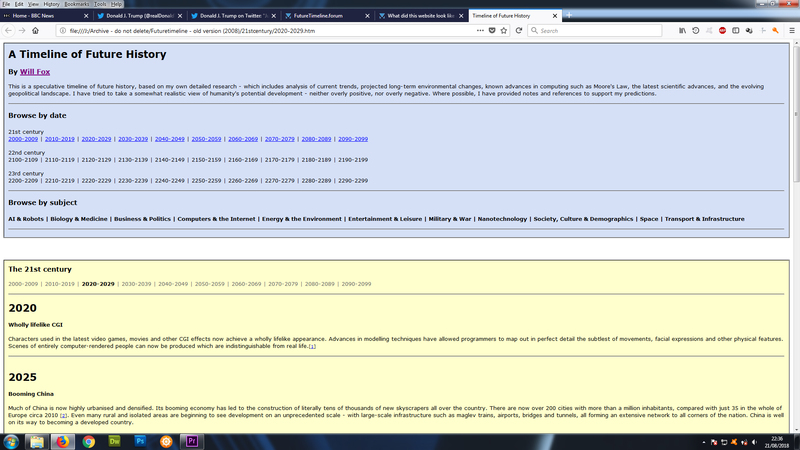 I'm curious about this because the Wayback Machine at the Internet Archive only contains screenshots of this website starting from 2009. However, what exactly did this website look like in 2008? Have any screenshots of this website from 2008 been saved anywhere? The reason you can't find it on Wayback is because it was offline until April 2009, and existed only on my hard drive. Here's how it looked in 2008. Can I please take a look at the 2030s page from 2008? 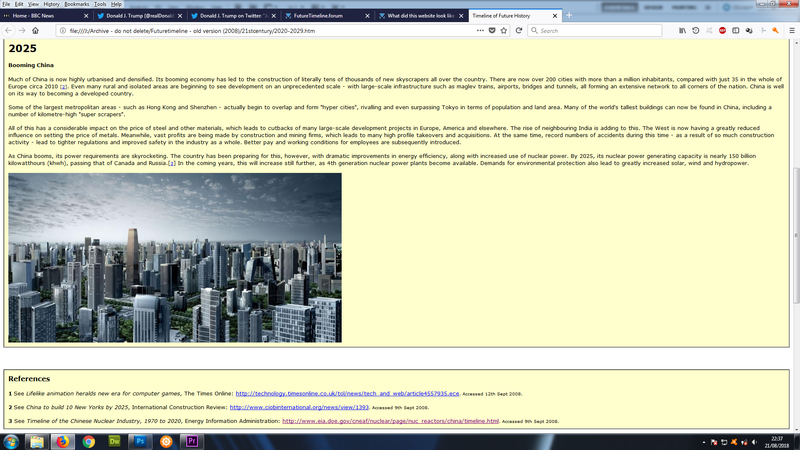 Also, I want to point something out--in early March 2008, I saw a futuristic-themed website which had various predictions for the future. It was absolutely nowhere near as detailed as futuretimeline.net was but it was still interesting. One of its predictions was that the Chinese economy would surpass the U.S. economy in 2039 (which was based on a 2003 prediction by Goldman Sachs but is now outdated--with the new projected year for this being around 2027). Does anyone know what exactly this website was called? I remember that site too! Do you remember what that site was called? May the Flying Spaghetti Monster--with all of His Noodly Appendages--Bless You, Frizz! When did you go on that website, Frizz? I went on it over ten years ago--especially in March 2008--and thus couldn't remember what it was called before you told me the name of that website. It would have been around 2010-2011 when i was 16 and just getting into futurism. If so, you certainly have an excellent memory, Frizz!